The use of corn for ethanol production carries side effects, including food security concerns owing to its use as a staple food crop. 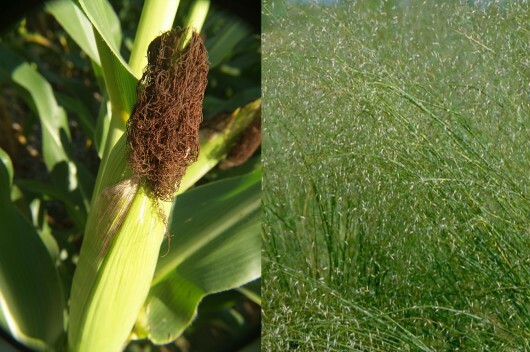 Use of perennial feedstocks, such as miscanthus or switchgrass, offers a promising opportunity to decrease reliance on the use of food crops for energy production. Their sustainable expansion and utility for renewable energy purposes could significantly offset use of fossil fuels and combat greenhouse gas-induced climate change. This interdisciplinary project with support from the National Science Foundation through its Water Sustainability and Climate Program (WSC) will integrate physical, agricultural and economic elements, to identify geographically sustainable “hot-spots” best-suited for expansion of perennial bioenergy crops. To avoid competition with food crops, the WSC-ASU project team will determine whether large-scale deployment of perennial bioenergy crops is sustainable by focusing their efforts on abandoned and degraded farmland over the contiguous U.S. By focusing on the long-term sustainability potential of perennial biomass energy crops, the NSF-funded project will initiate a new avenue of renewable energy research at ASU. State-of-the-art models will be utilized to quantify impacts and diagnose feedbacks on hydroclimate, assess effects on crop yield, and evaluate economic profitability associated with perennial bioenergy crop growth in identified “hot-spot” areas. The WSC-ASU team will focus their efforts on four coupled elements. Georgescu, WSC-ASU team PI, will lead all hydroclimatic modeling activities, aimed at revealing the most suitable “hot-spots” of sustainable perennial biomass energy expansion. 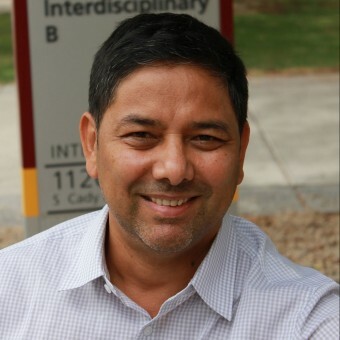 Netra Chhetri, co-PI, will lead all crop modeling activities. Chhetri will quantify perennial biomass energy crop yield from aforementioned “hot-spots” and assess energy offset potential of U.S. consumption. Michael Hanemann, co-PI, will oversee all economic modeling activities. Hanemann will evaluate economic potential for the production of perennial bioenergy crops in the U.S., incorporating a significant long-run sustainability constraint for land and water. Alex Mahalov, co-PI, will lead the effort to enhance all economic and crop models with an ensemble-based uncertainty quantification strategy implemented in a distributed-memory parallel computing architecture.